Electric shocks can be fatal. Each year there around 1000 accidents at work involving electric shock or burns are reported to the Health and Safety Executive. Furthermore, around 30 of these are fatal. The majority of these fatalities arise from contact with power cables, either overhead or underground. 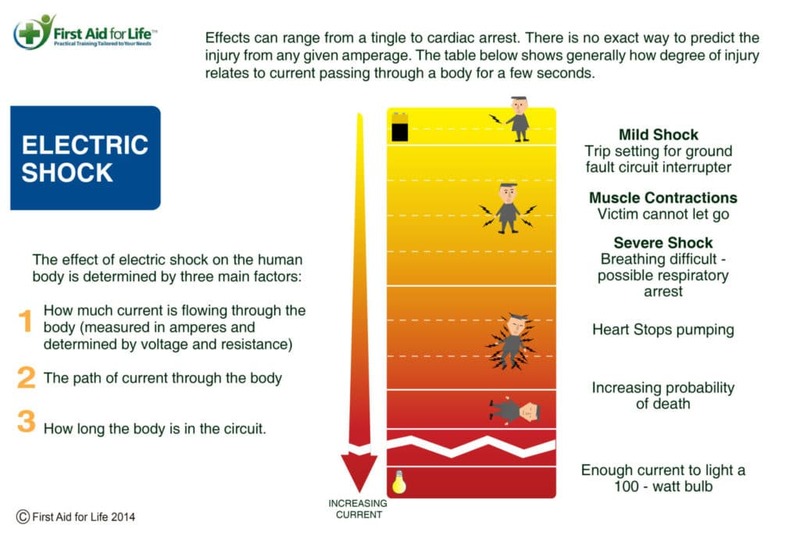 The danger from an electrical shock depends on the type of current, how high the voltage is, how the current travelled through the body, the person’s overall health and how quickly the person is treated. If the person survives the initial shock, their prognosis is usually good. However, even when the electric shock is not fatal, it can lead to permanent injury. If you touch someone who is holding onto an electrical wire with a live current, there is a strong chance that you will be electrocuted too. As a result, it is vital you always ensure the area is safe if someone has been electrocuted. Do not touch them until you have turned the electricity off at the mains. Furthermore, ensure you know where the mains is located and how to turn it off. Touching the socket where the appliance is plugged in, before disconnecting the mains, could lead to further injury. Can’t reach the mains supply? If you can’t stop the electrical current, move the source away from you and the person using a dry, non-conducting object made of cardboard, plastic or wood. A wooden broom handle can work. If a baby or child has grasped a damaged wire, it is possible the electric shock can cause muscle spasm and as a result they will be unable to let go. Always try and switch off the power supply. Once the electricity has been switched off, they are safe to touch. 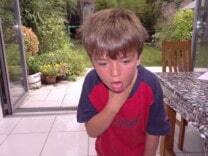 If the person isn’t breathing or if the injured person experiences any of the following dial 999. Check for response and then check for breathing. 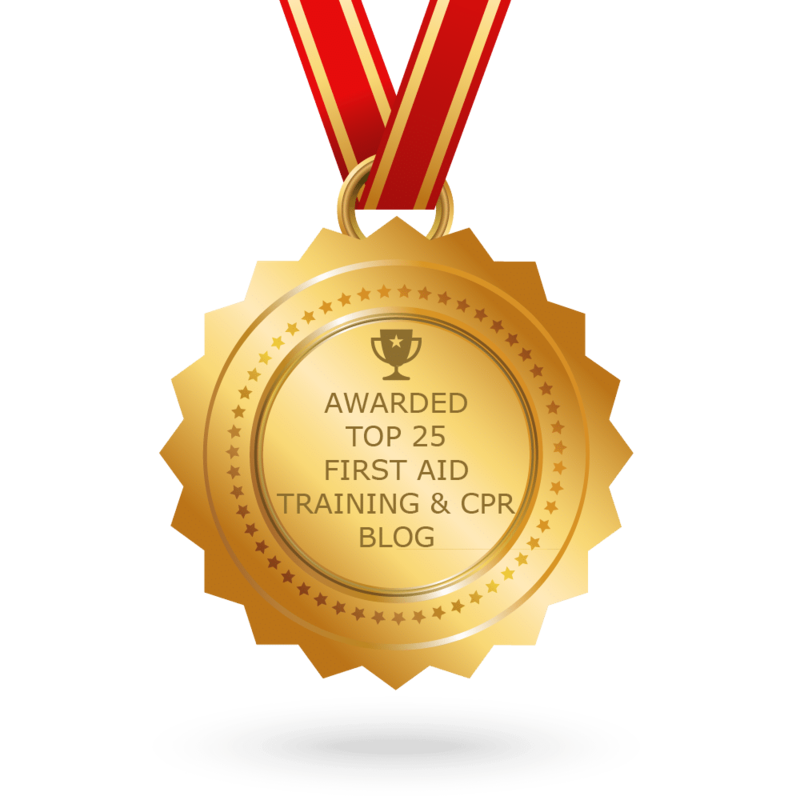 If they are unconscious and breathing – put them into the recovery position. If they are conscious and appear ok, do get them checked by a medical professional. Do not be distracted by any burns. Electrical burns have an entry and exit and burn all the way through the inside. Therefore, the electrical burn itself, may not be the most important injury. Furthermore keep checking for more serious and possibly life-threatening conditions resulting from the electric shock. Electrocution can interrupt the heart rhythm. Electrical burns can go right through the body. It is extremely difficult to electrocute yourself with a UK socket as all sockets have built in automatic shutters for protection. However, sockets are not the only source of electric current, and babies have little fingers and are curious; hence the importance of knowing the appropriate first aid response. Certain socket covers can damage sockets and remove the automatic shutters – be extremely careful when choosing socket covers to ensure they meet the appropriate safety standards. 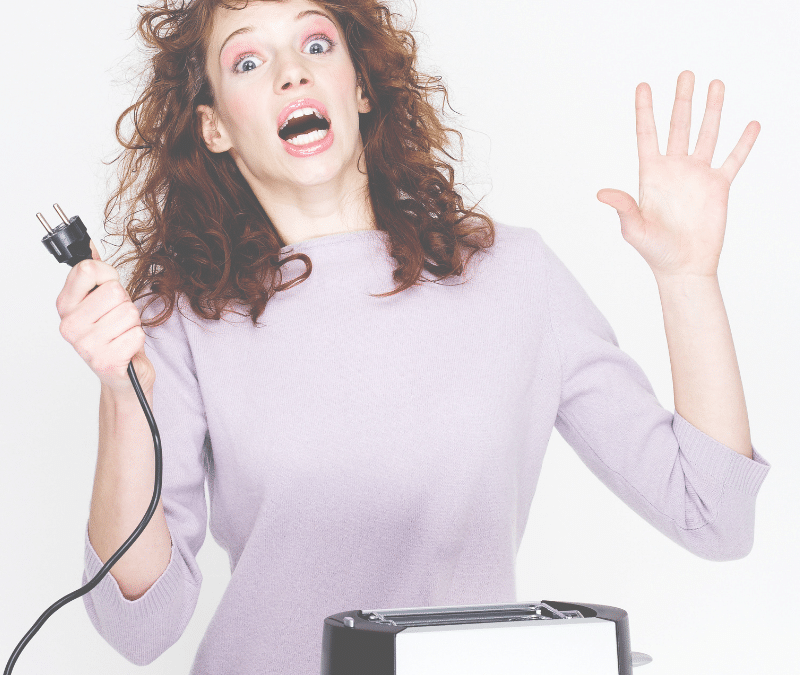 Old electrical appliances can have wires which become damaged and frayed over time and can, as a result, can give an electric shock when touched. Sometimes pets can chew and damage wires and they too can experience electric shocks – click here to learn more about how to help your pet if they have been electrocuted. Have your electrics regularly checked by a qualified electrician. This information is so helpful, I only hope I never get involved in a situation, but if I do I’ll know what to do. Thank you Emma.